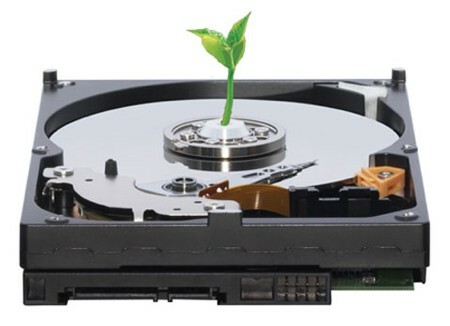 The three features that are touted the most often by manufacturers of green drives, as we said, are their relatively quiet and cool operation and their lower power consumption. These specs are measured in decibels, degrees Celsius, and watts, respectively, and can usually be found on fact sheets for various drive models on the manufacturer’s website (here’s a Western Digital sampling) or from third-party benchmarks, if you don’t trust Big Data Storage. Some green hard drive models perform decently well in these areas over their desktop-standard counterparts. For example, a 1TB Western Digital Caviar Green model that runs at 3.0 Gb/s with a 32MB cache consumes an average of 4.8 watts when reading or writing, 2.82 watts when idle, and 0.38 watts when in standby or sleep mode. A WD Caviar Black with the same specs consumes 8.4 watts when reading or writing, 7.8 when idle, and 1 in standby or sleep. You’re not exactly slashing your electric bill with a green drive, but it’s something. You also drop a couple of decibels in loudness going from Black to Green. Of course, what facilitates the difference between these two drives are their speeds— the Caviar Black runs at 7200 RPM, and the Green uses a mysterious system that WD calls IntelliPower. Theoretically, this is supposed to mean that it runs between 5400 and 7200 RPM depending on the demands being made, but most third-party tests have found the Caviar Greens pretty much stick to 5400 RPM. 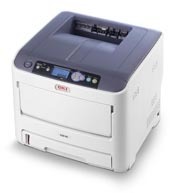 As a printer servicer we service all brands of printer and faxes from inkjet to impact. 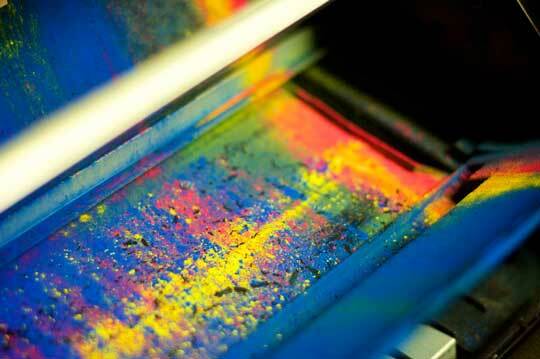 We get a lot of questions from our clients about toner and ink. “Should I buy OEM, compatible or just refill?” While there is no simple answer I find what it boils down to is – cost. When I say “cost” I’m not just referring to the price of the toner cartridge but am also taking into consideration performance and cost to maintain. In this post I’ll define what your options are and give my two cents. OEM Cartridge – Original Equipment Manufacturer, or OEM is made by the manufacturer of the printer and conforms 100% to their specifications. My 2 cents: While this option is the most expensive I find that they offer the best performance with the least amount of downtime. Compatible Toner Cartridge – A compatible toner cartridge is made by a 3rd party manufacturer and consists of all new compatible parts. It is similar in quality to a OEM cartridge and many instances has a comparable warranty. 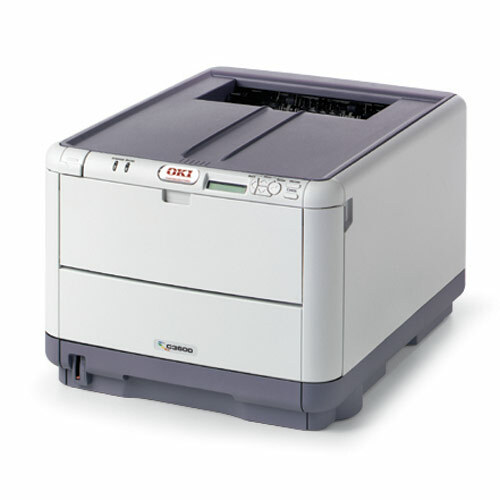 My 2 cents: For some older laser printers this may be the best alternative to OEM as some manufacturers stop making OEM toners for older models. Users looking to save a few dollars should choose compatibles from a known manufacturer like Xerox or similar. I have found that some color printer makers like OKI and Lexmark do not perform well with anything less than OEM. Take a look at this article about OKI toners to see what makes them different. Remanufactured Toner Cartridge – A remanufactured toner cartridge is when a company takes an original oem cartridge, disassembles it, tests and replaces any worn parts, fills it with toner and re-assembles. Quality of this process varies greatly, some manufacturers will replace a few parts and call it compatible. Some manufacturers will drill a hole fill it with toner and call it remanufactured. Just be sure to purchase your toner cartridges from a reputable dealer that has a 100% satisfaction guarantee. My 2 cents: Stay away from reman-toner as they usually do more harm than good. Sure you save a few bucks now but when they leak inside your printer they can be a nightmare to clean and potentially damage sensitive components and sensors. Refills – Purchasing ink 3rd party and refilling the ink cartridges. My 2 cents: While most inkjet printer makers frown on this behavior, I certainly understand why users choose this option – it’s cheap. The printer cost you a $100 and the OEM inks are $35+ per. This is where the makers like HP and Canon make their money on end users. I also get the “green” argument by refilling and reusing but this doesn’t hold water when the printer is “disposable” to begin with. If you want to think green than consider the usage of your printer and the cost to run it. Are you running 250 copies of a color church monthly newsletter through a inkjet? Or are you just printing one or two pages a month? When it comes to refilling ink cartridges for a Designjet or plotter my advice is simple – don’t do it. Plotters are too expensive to purchase, service and most often times too mission critical to be off-line. We’ve just launched our new website. 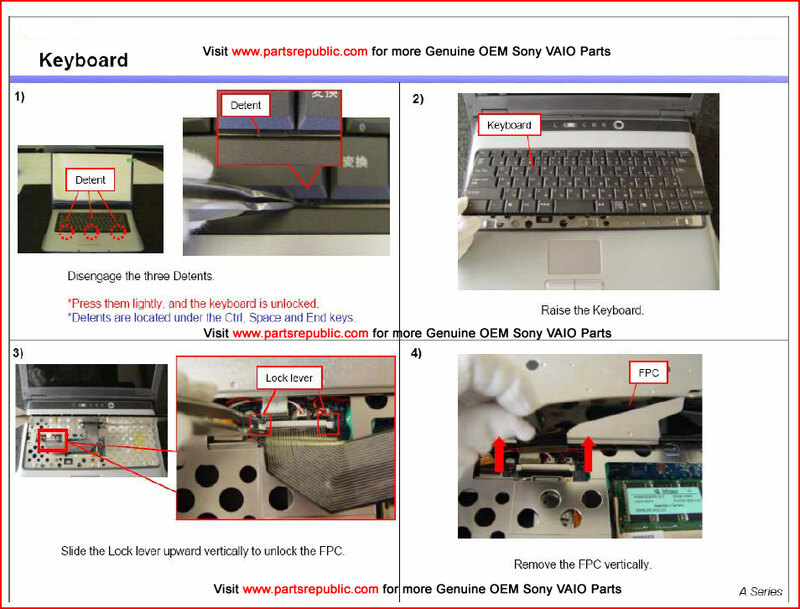 Please visit us at www.pcrepair.net and drop us any feedback or comments.